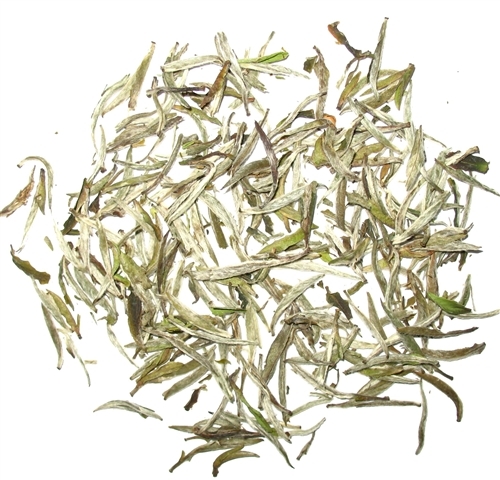 Shape up your lifestyle with the amazing Silver Needle tea. 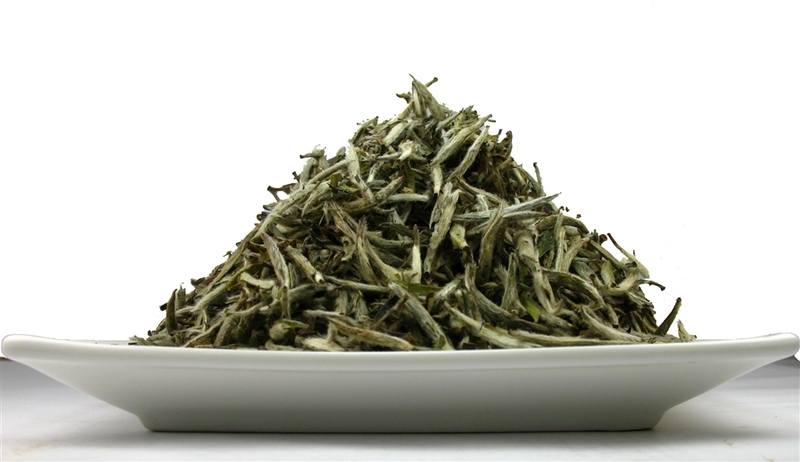 Organic silver Needle White tea catalyses weight loss. This tea assists the body to better metabolize lipids, or fats. Consider yourself a tea connoisseur once you begin drinking the rare specialty Organic Silver Needle White tea, known as Yin Zhen, in the Fujian province of China where it is grown. Hot tea brewing method: When preparing by the cup, this tea can be used repeatedly (à la chinoise) - about 3 times. The secret is to use water that is about 180ºF or 90ºC. Place 1-2 teaspoons of leaves in your cup and let the tea steep for 3 minutes. Then begin enjoying a cup of enchantment - do not remove the leaves from the cup. Once the water level is low - add more water, and so on - until the tea flavor is exhausted. Milk or sugar will mask the delicate characters of this tea and are not recommended. Look at the pattern of the leaves - they foretell life.